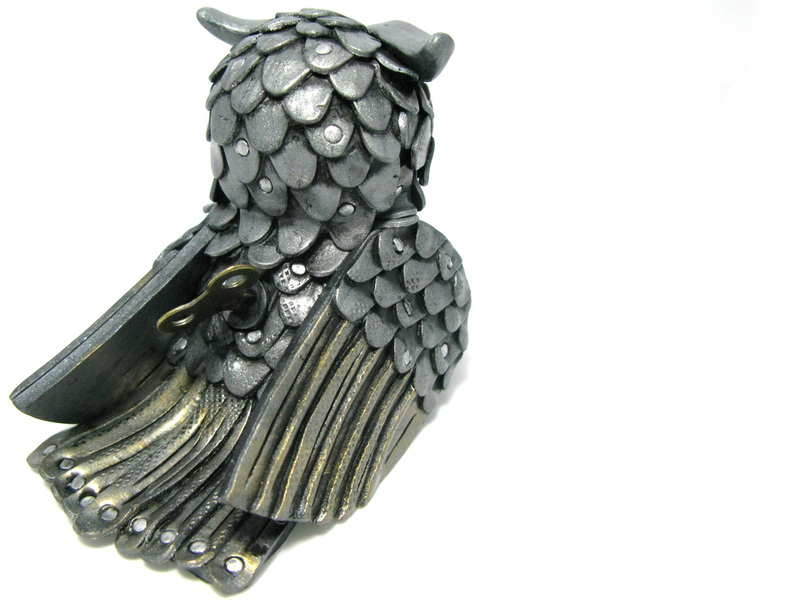 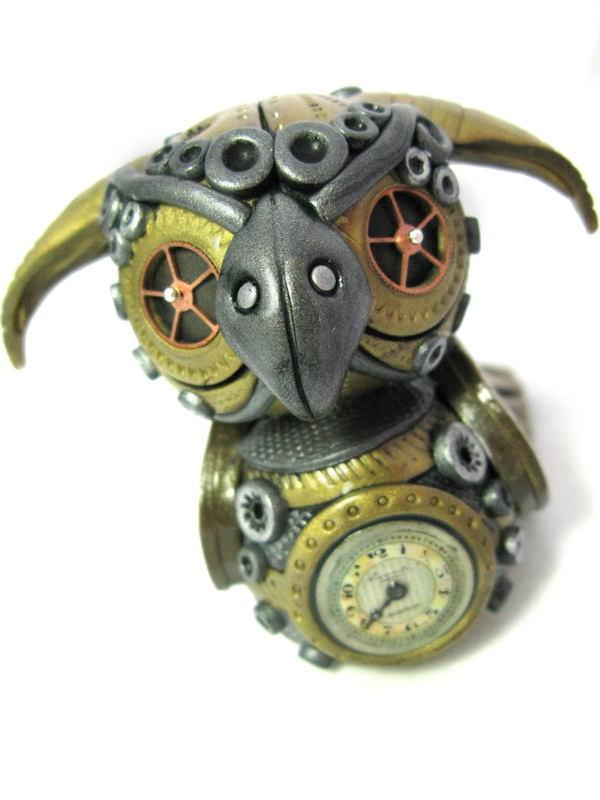 Here you can see owl sculptures that I make if you would like one then pop on over to my shop section where you can either purchase a custom owl, a freestyle or as and when I make them I will be adding a different type of sculptured owl made ready to ship. 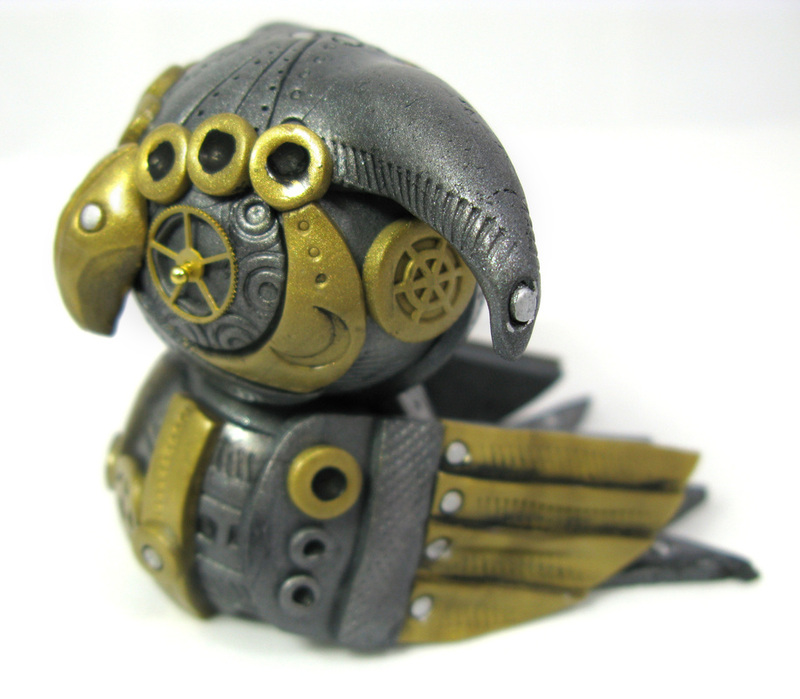 So if you see ones that are made and ready to ship grab them while you can as they dont stay around for long they like to fly the coup. 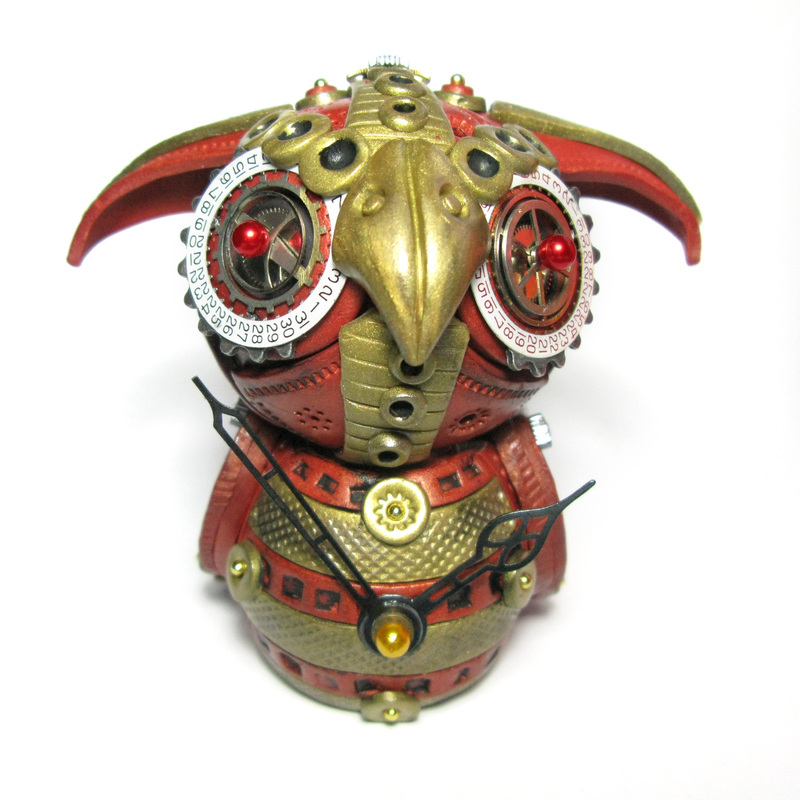 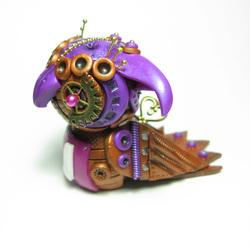 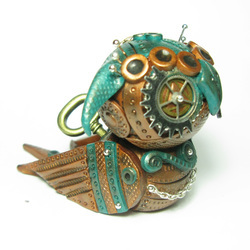 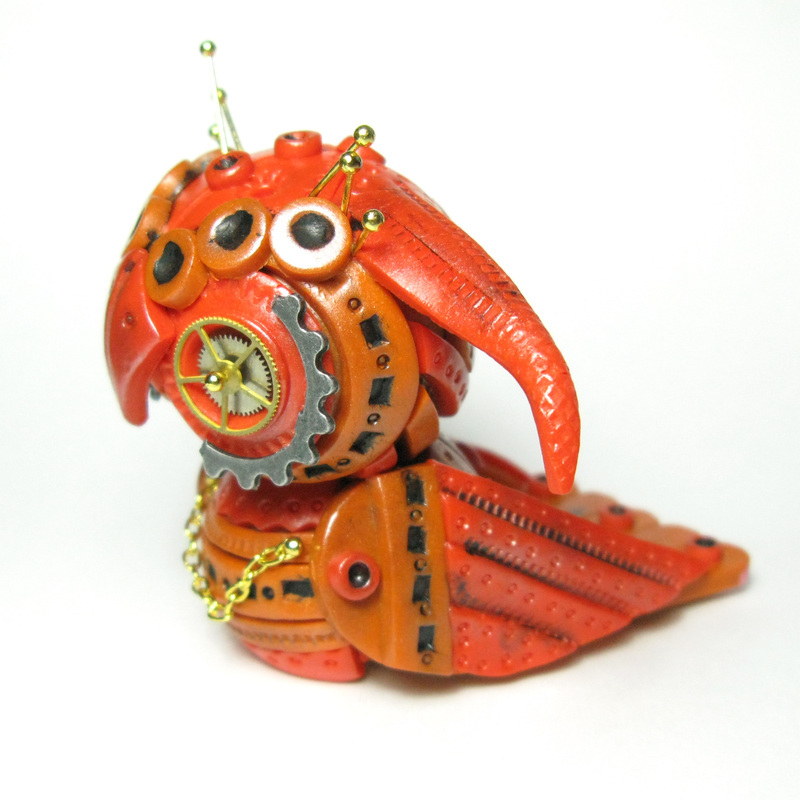 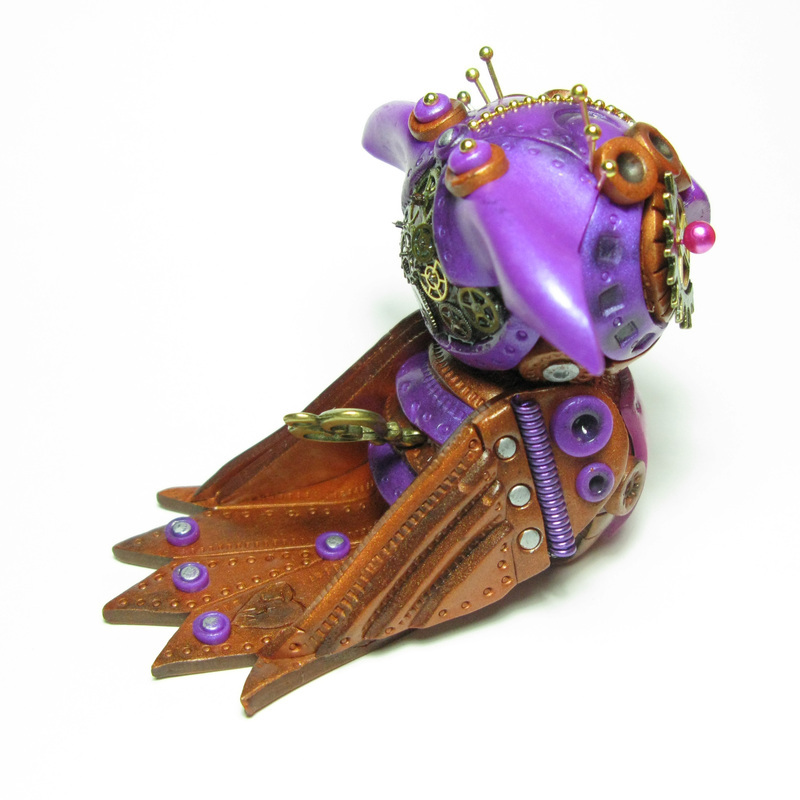 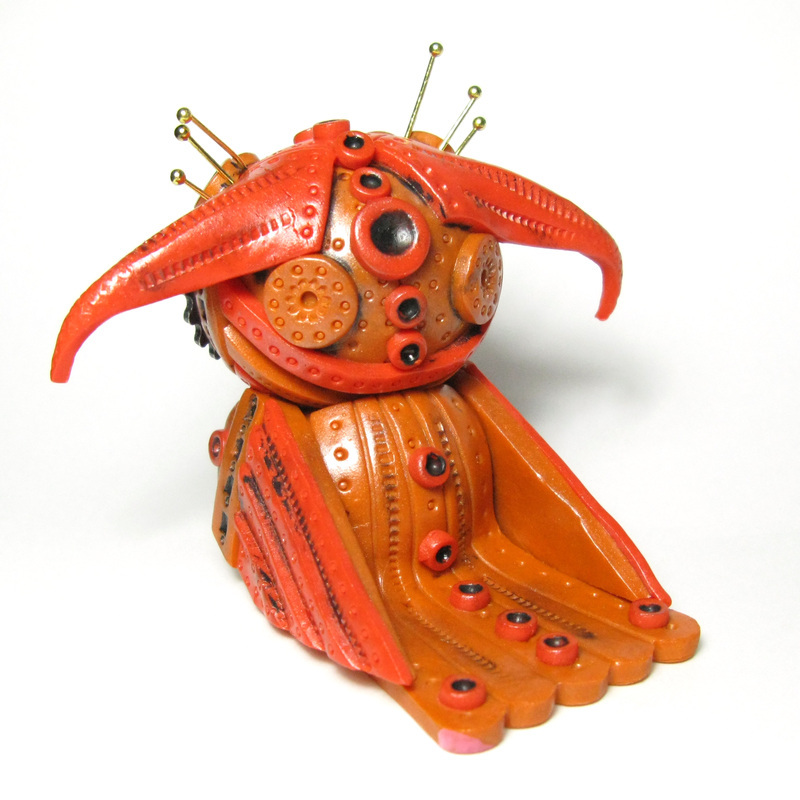 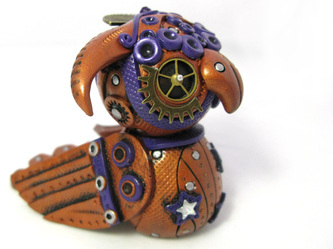 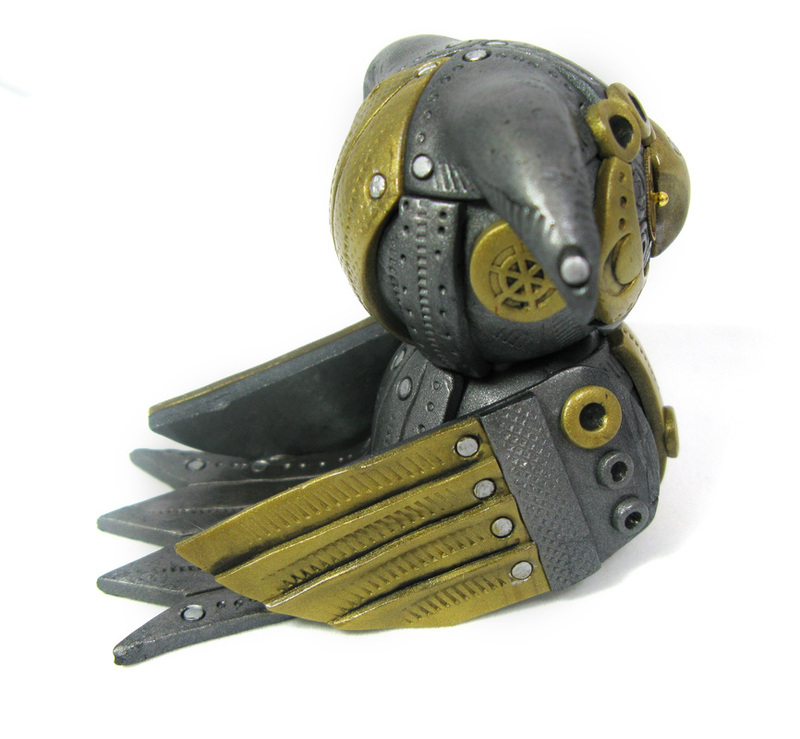 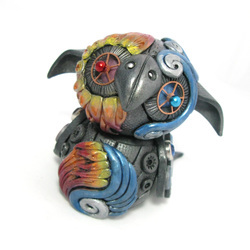 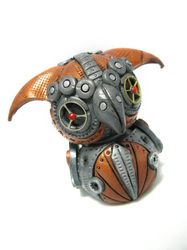 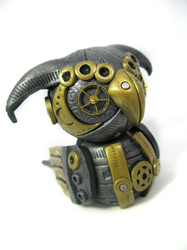 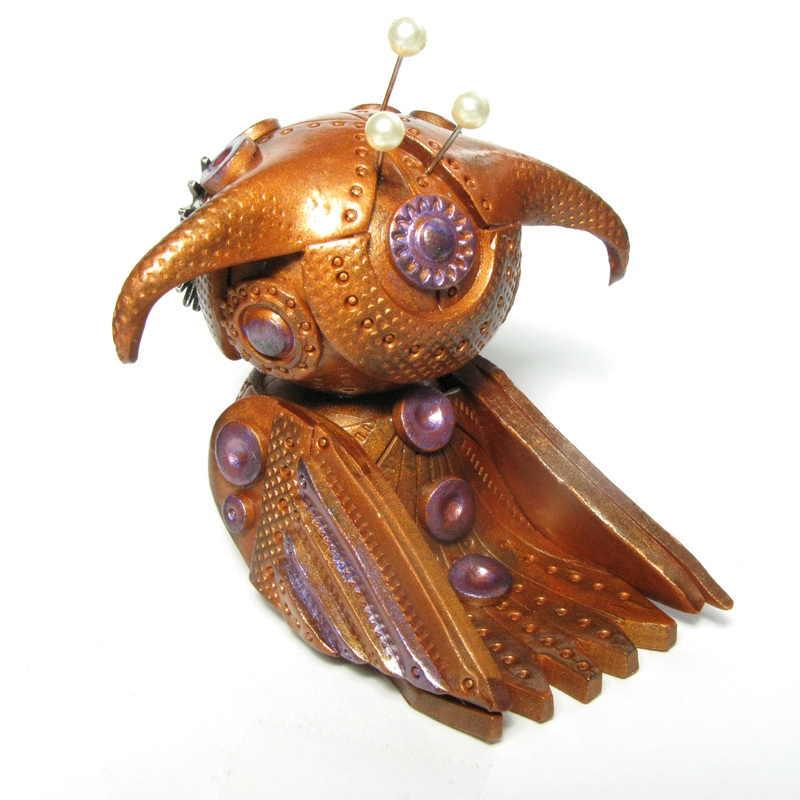 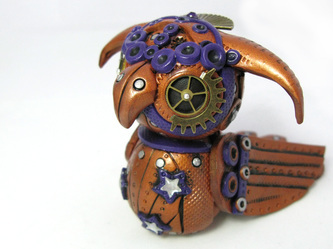 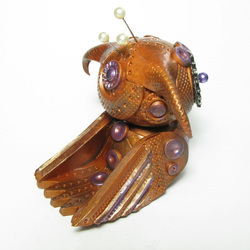 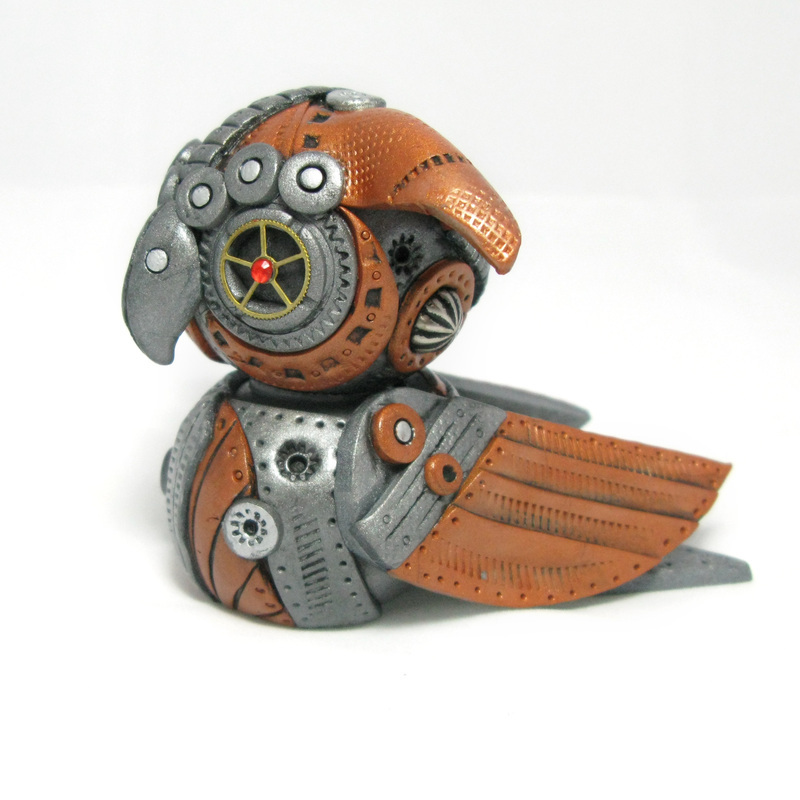 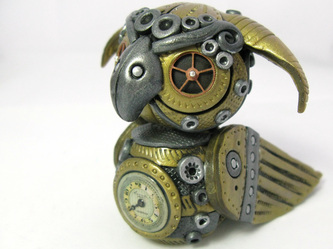 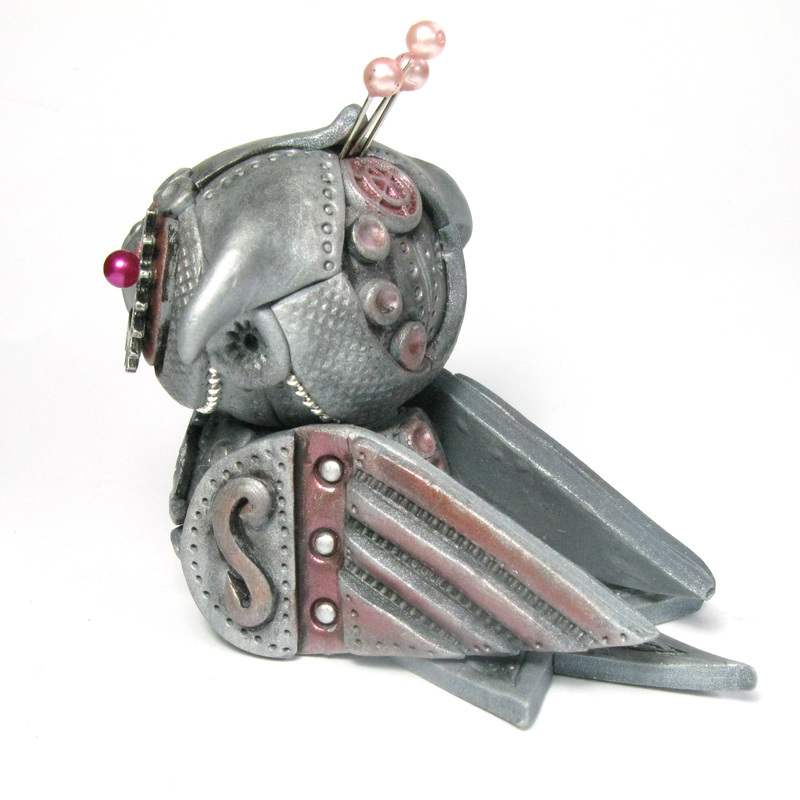 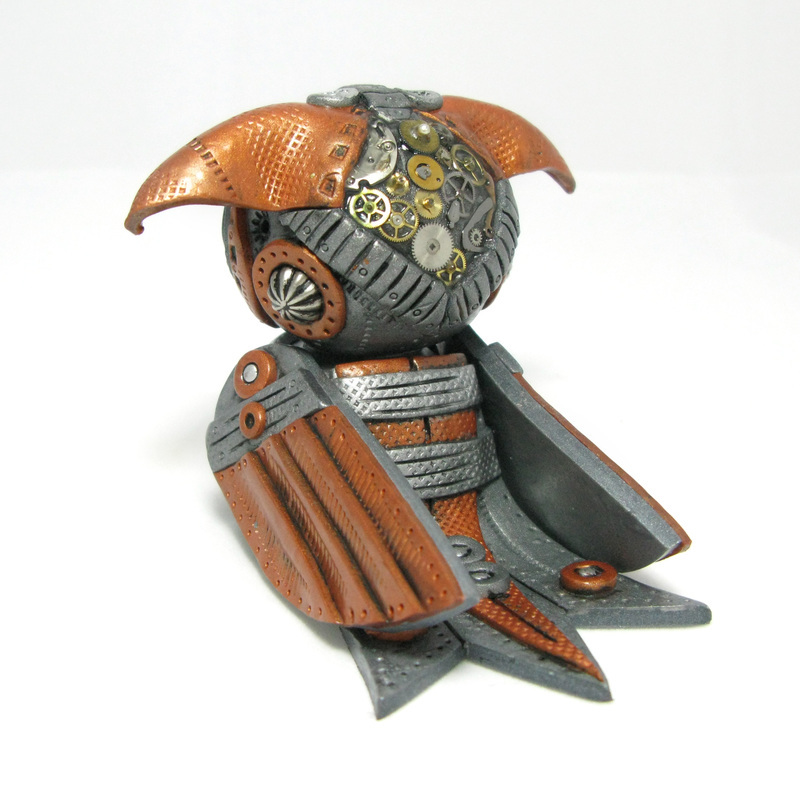 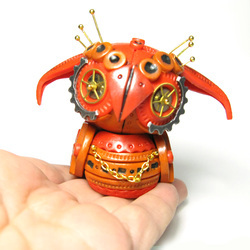 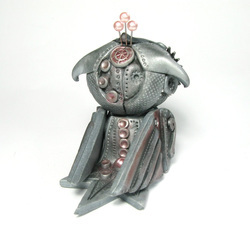 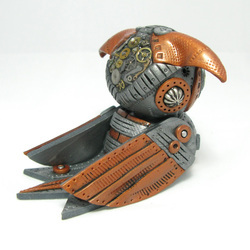 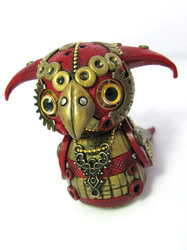 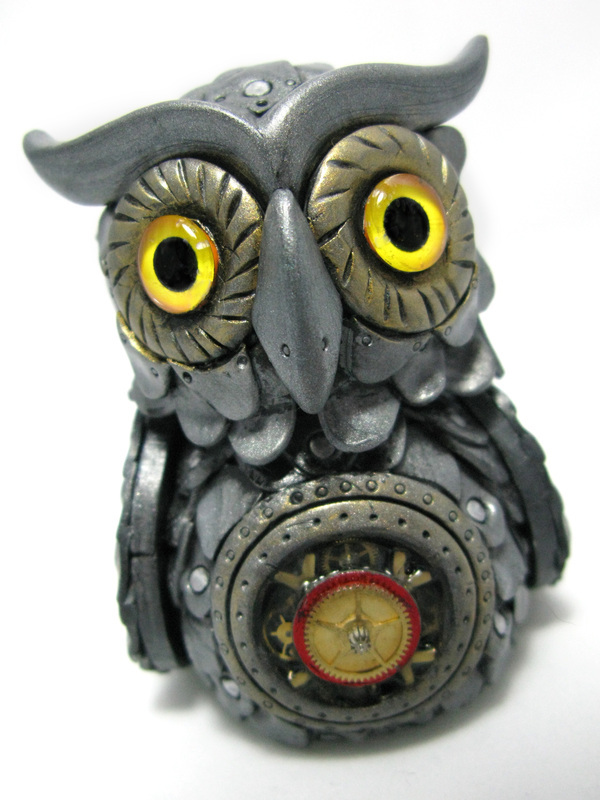 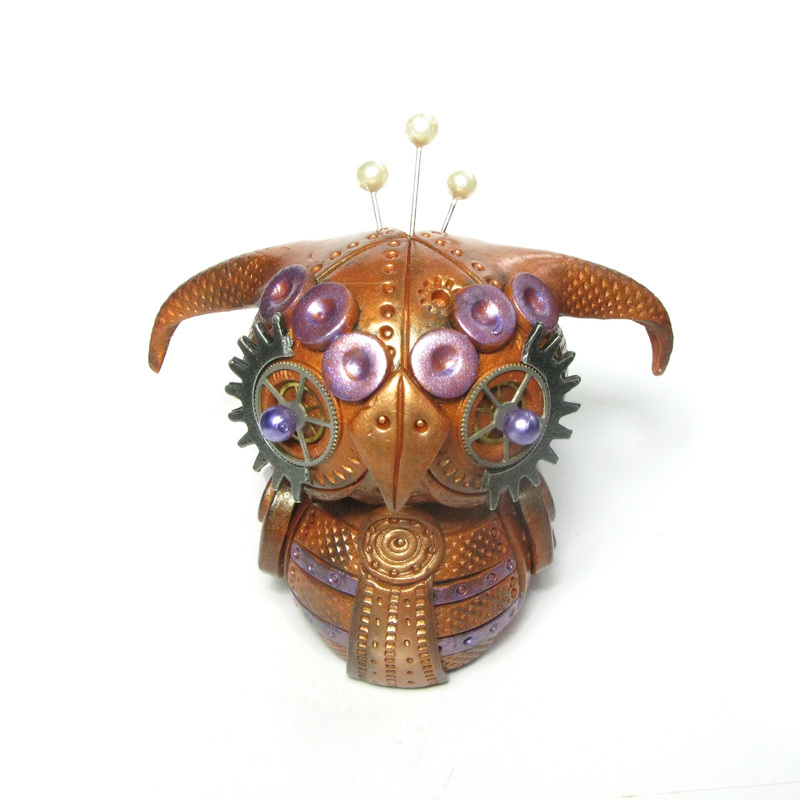 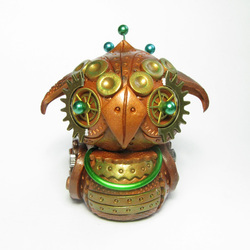 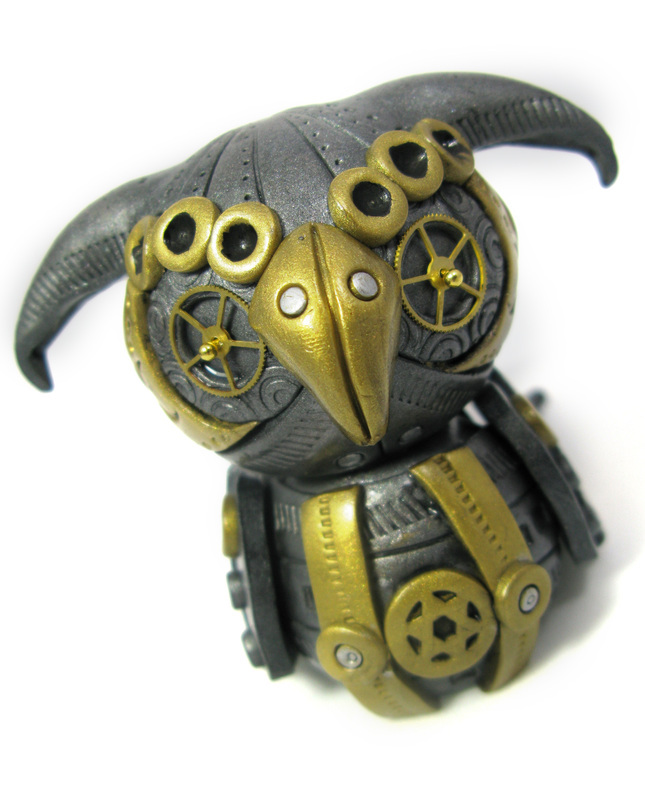 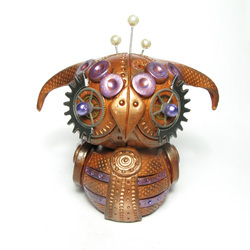 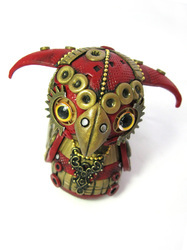 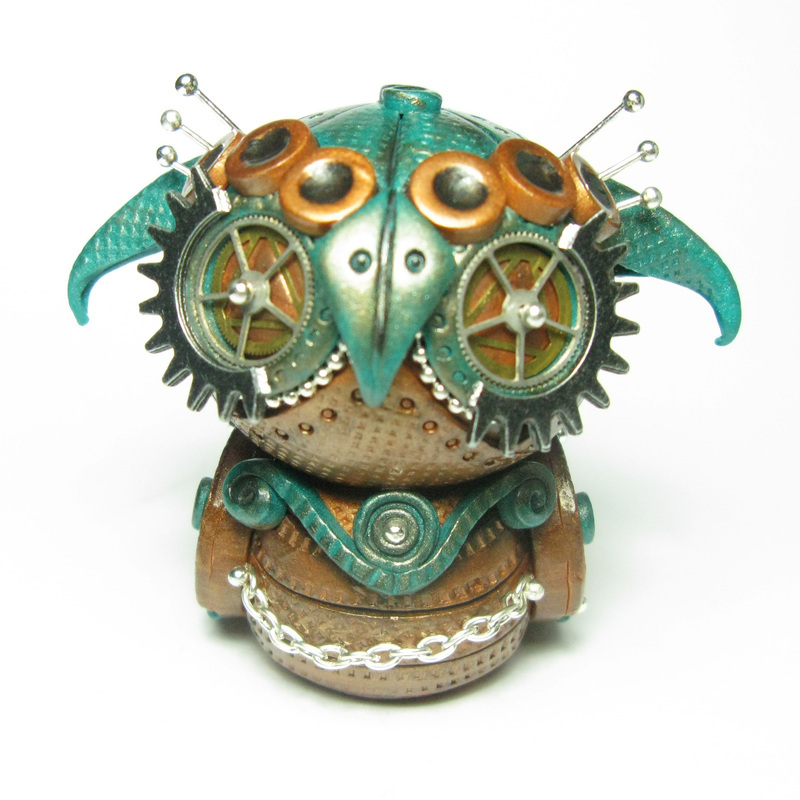 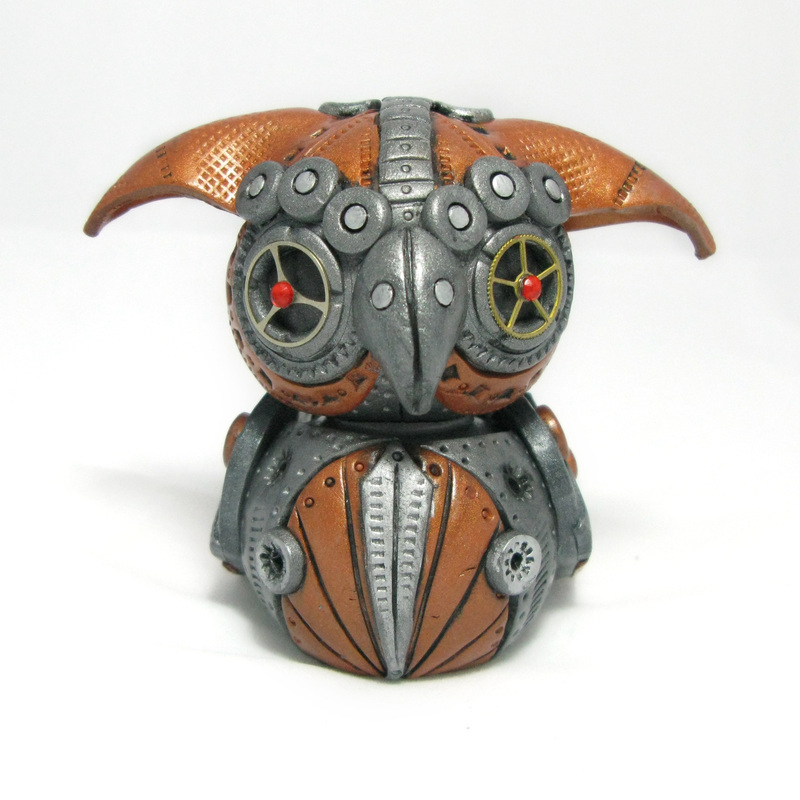 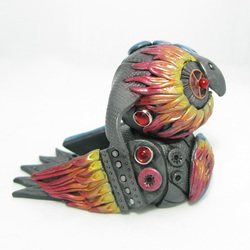 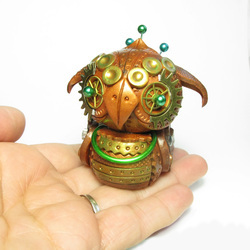 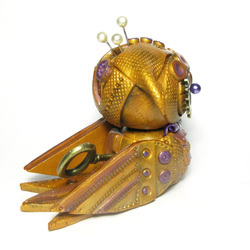 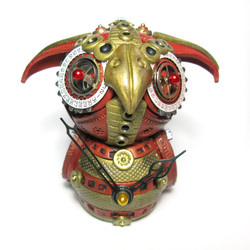 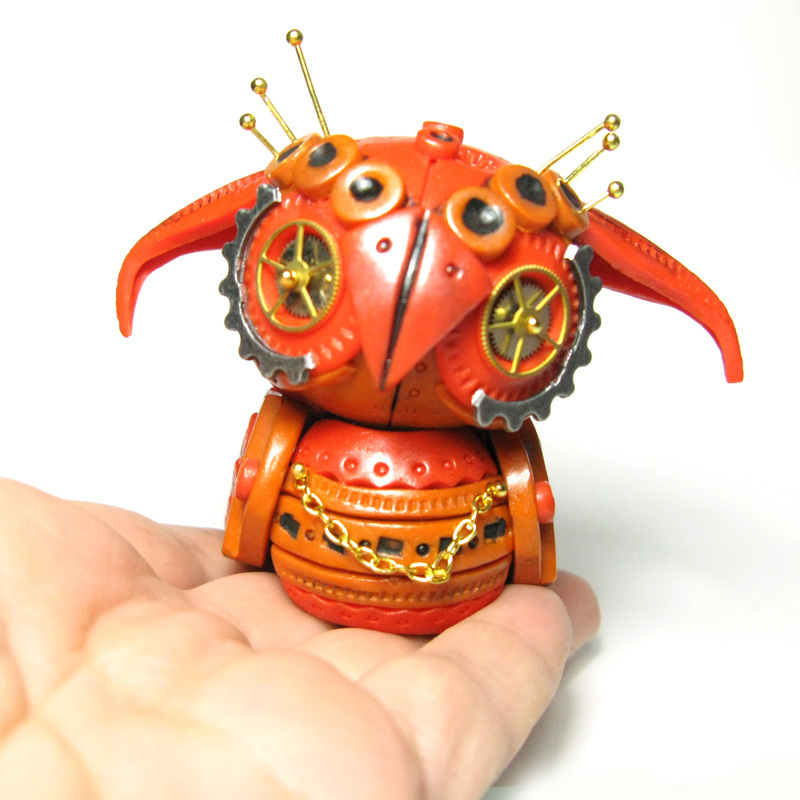 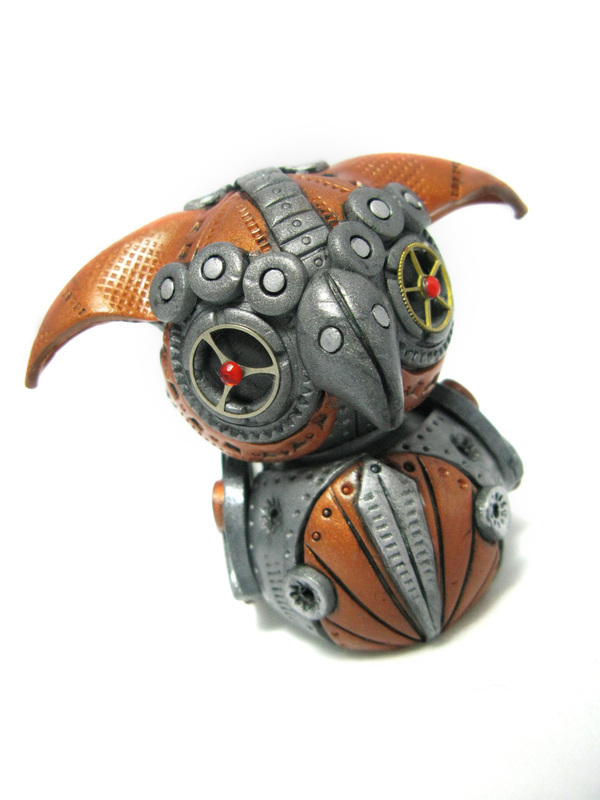 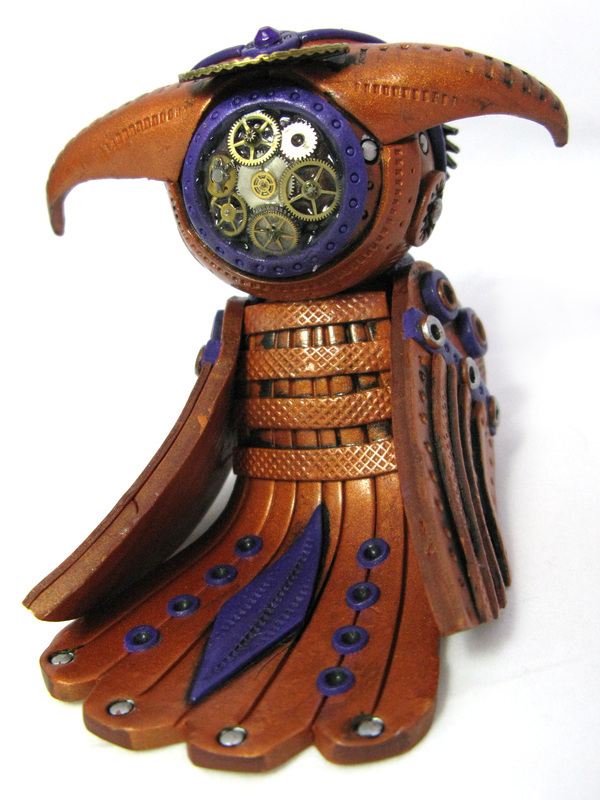 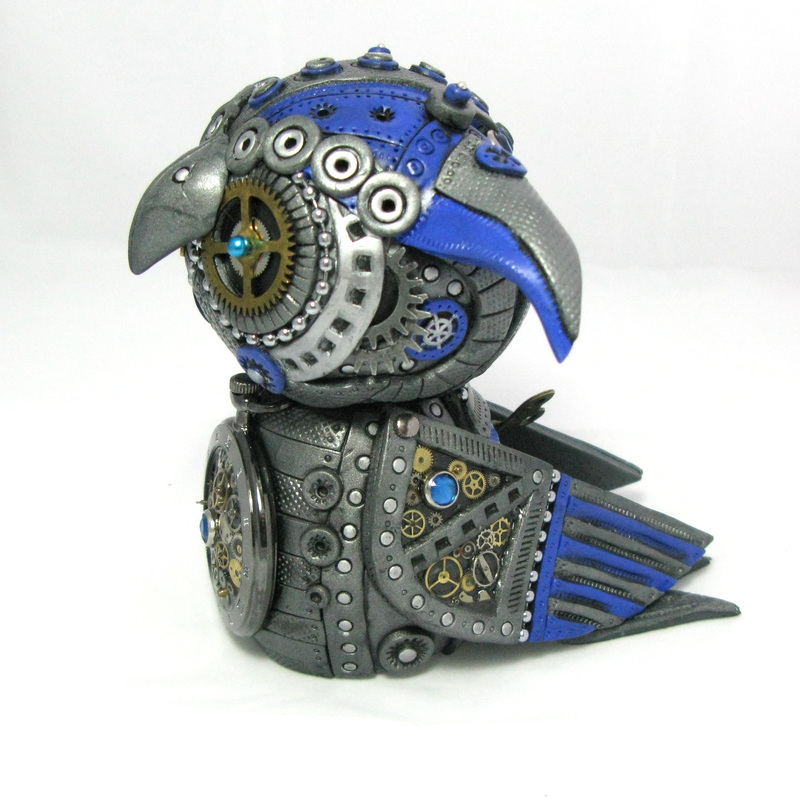 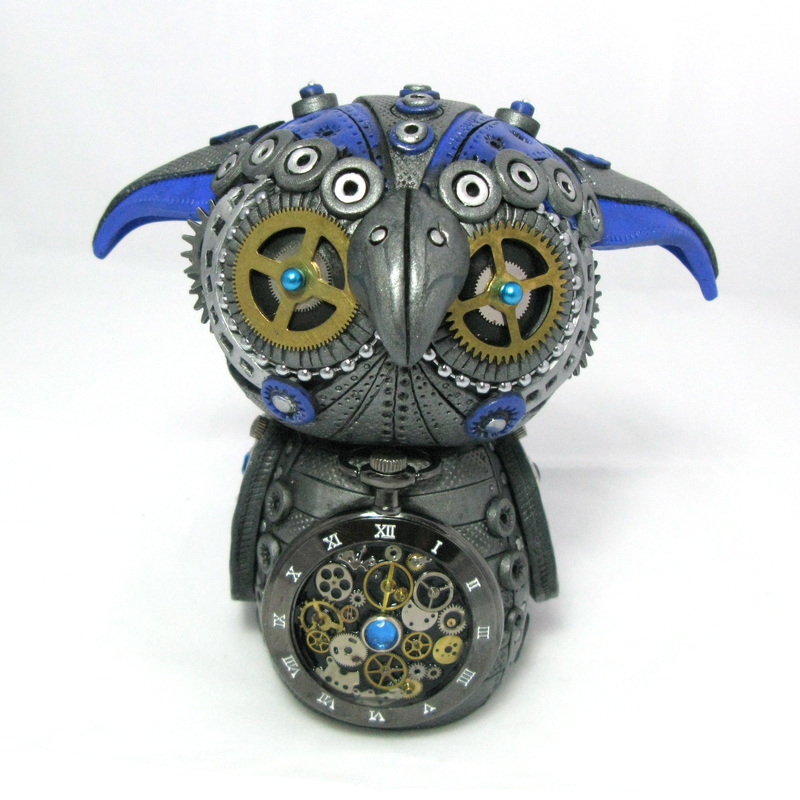 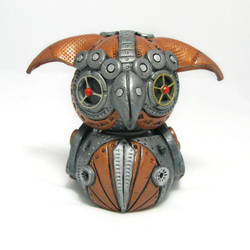 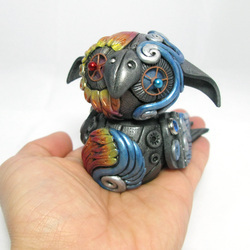 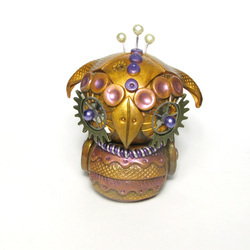 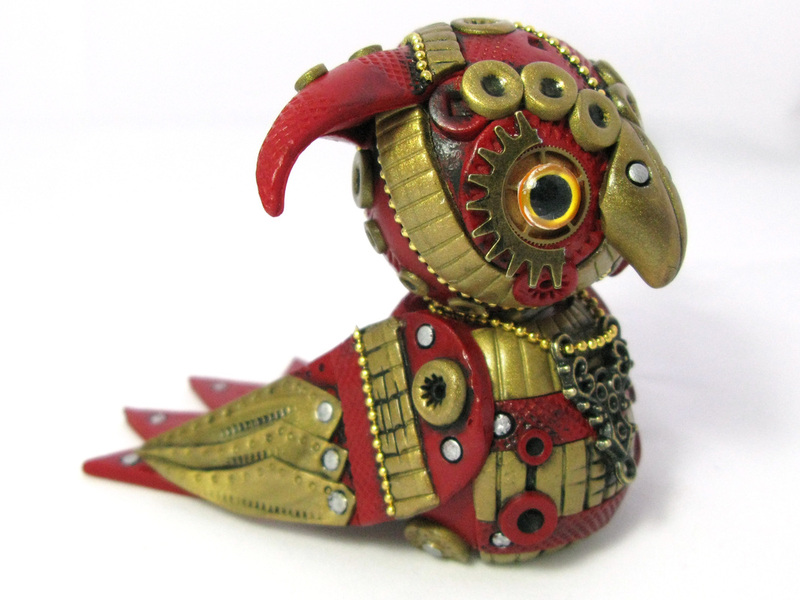 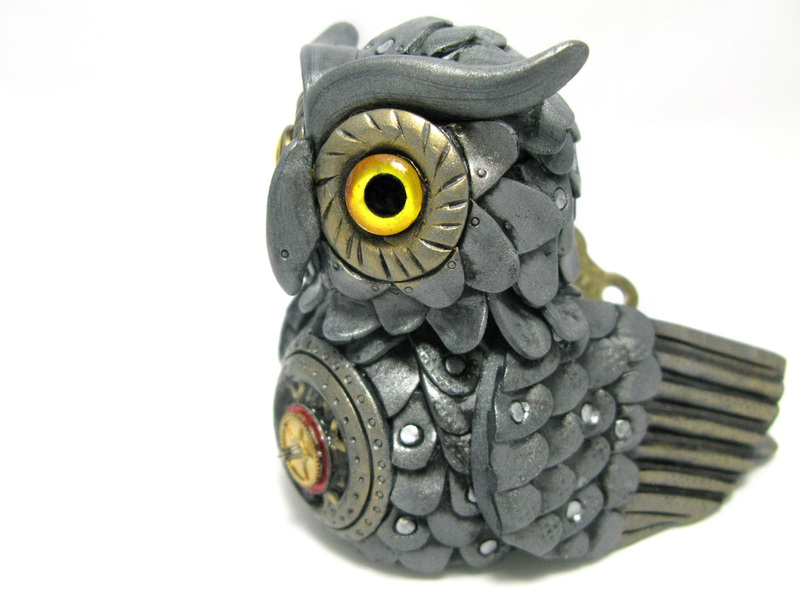 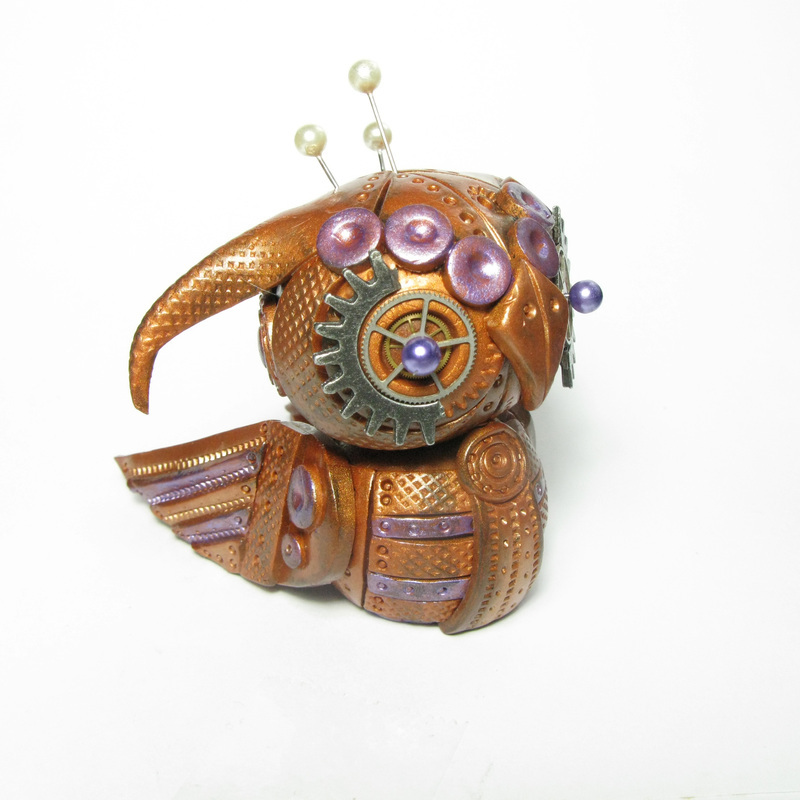 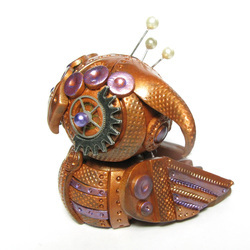 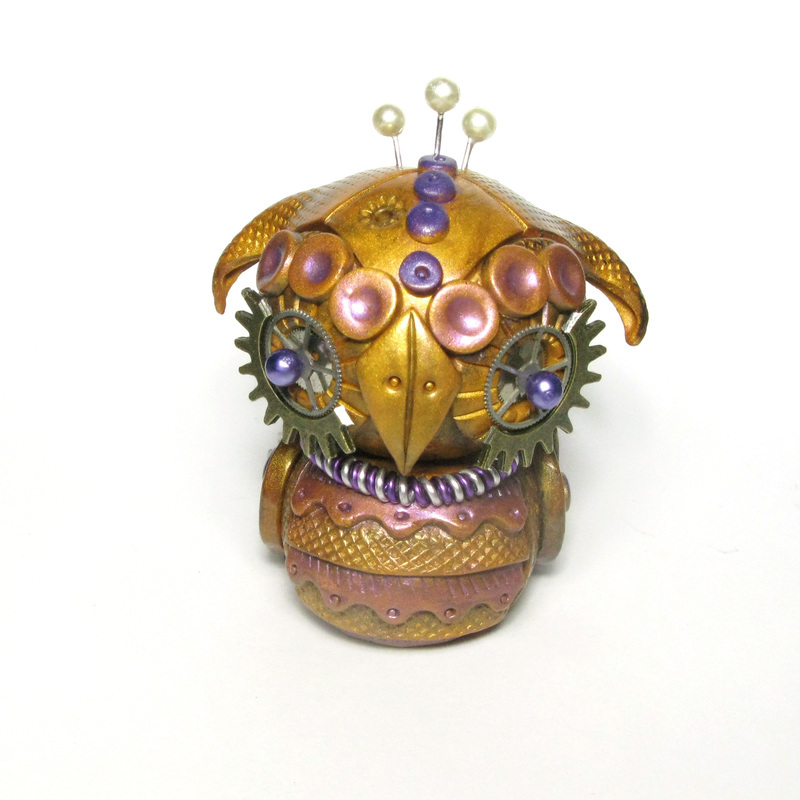 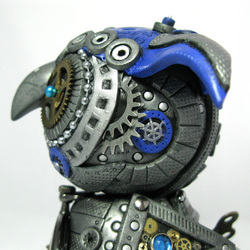 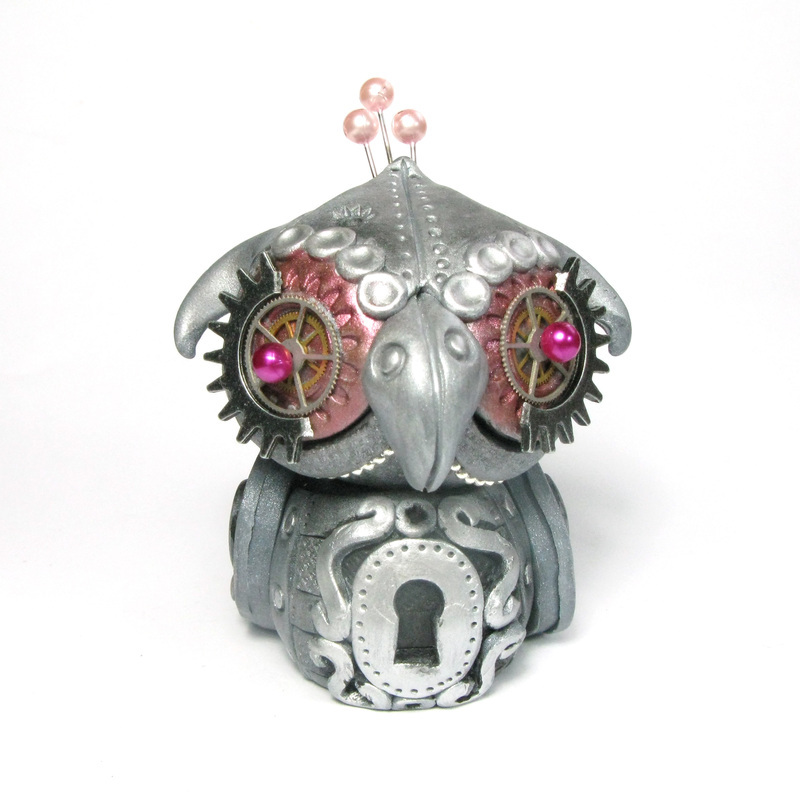 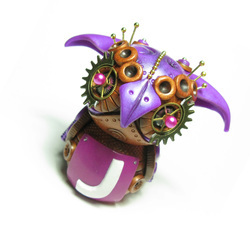 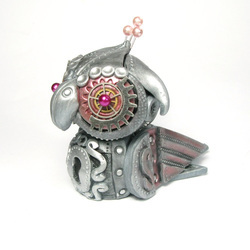 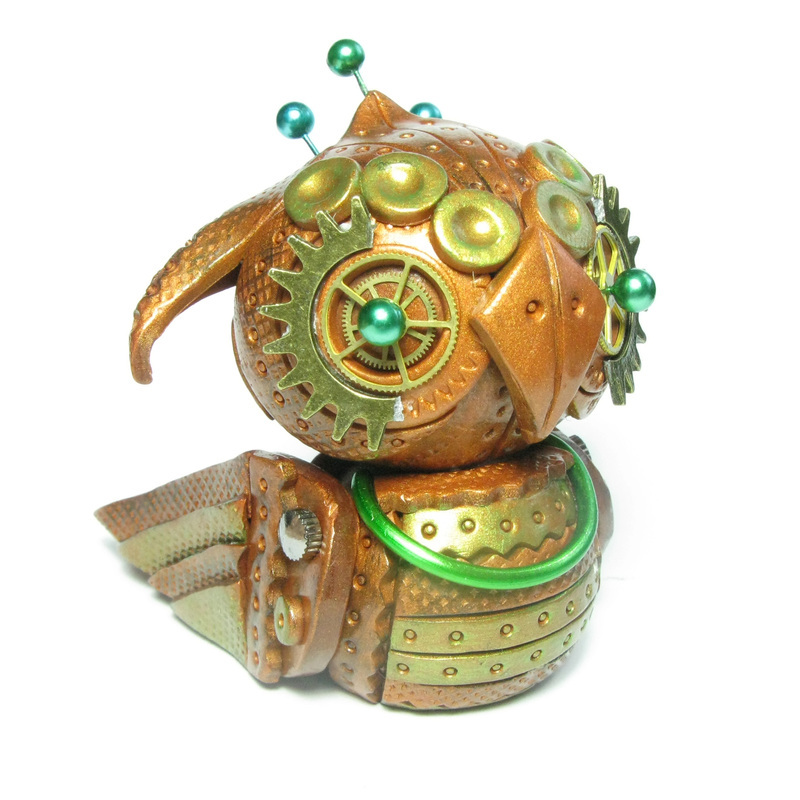 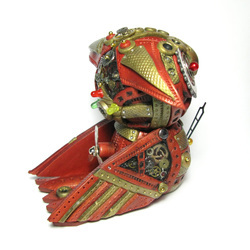 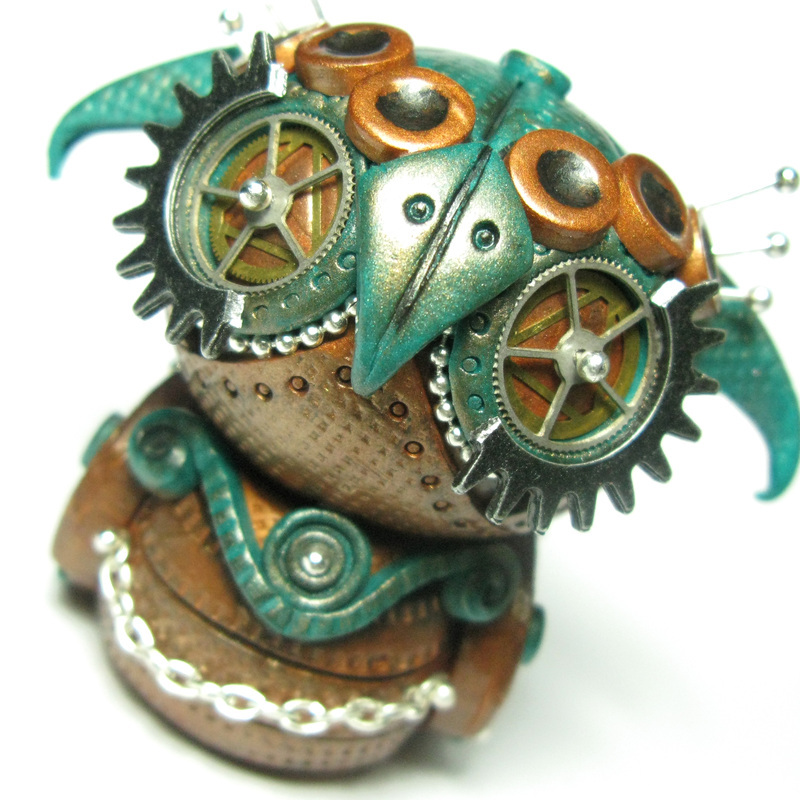 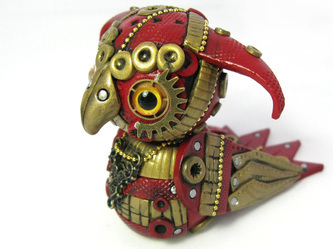 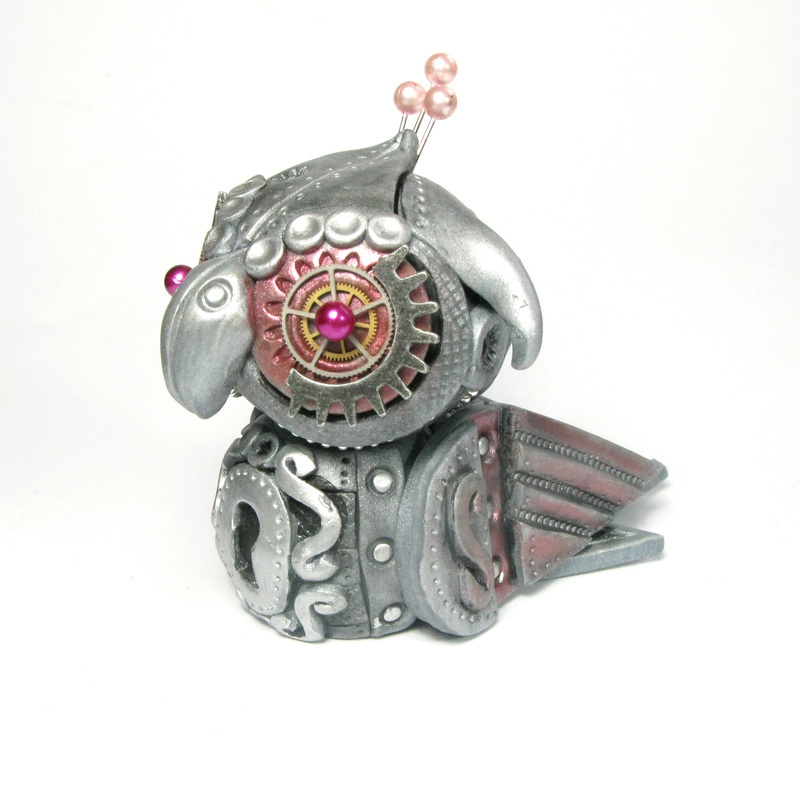 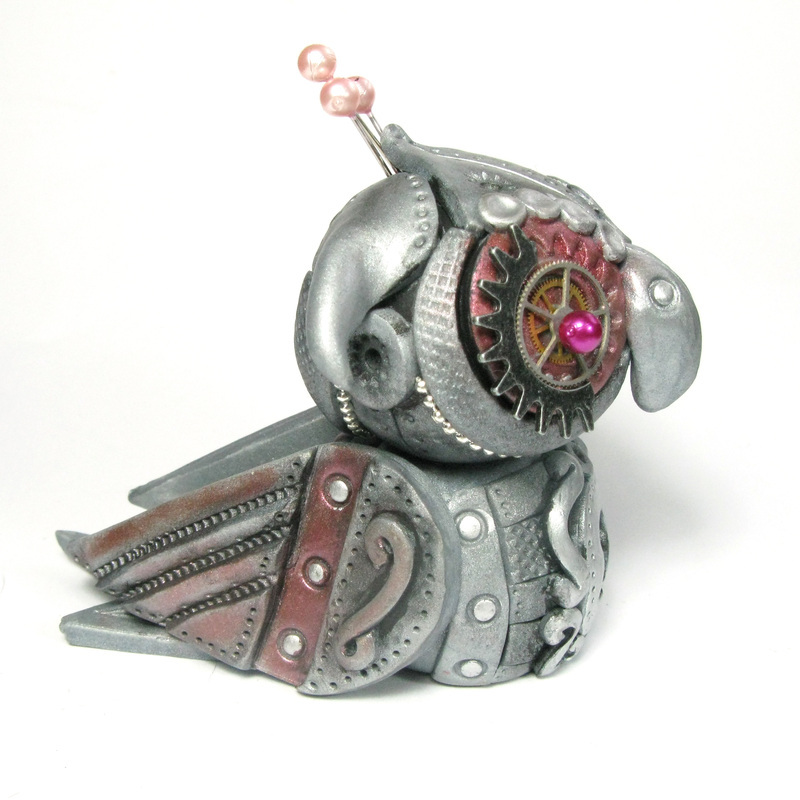 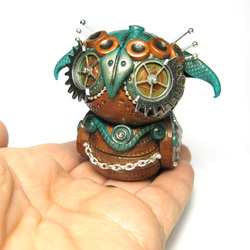 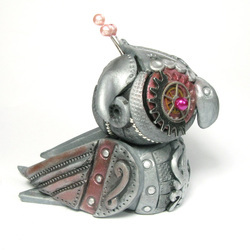 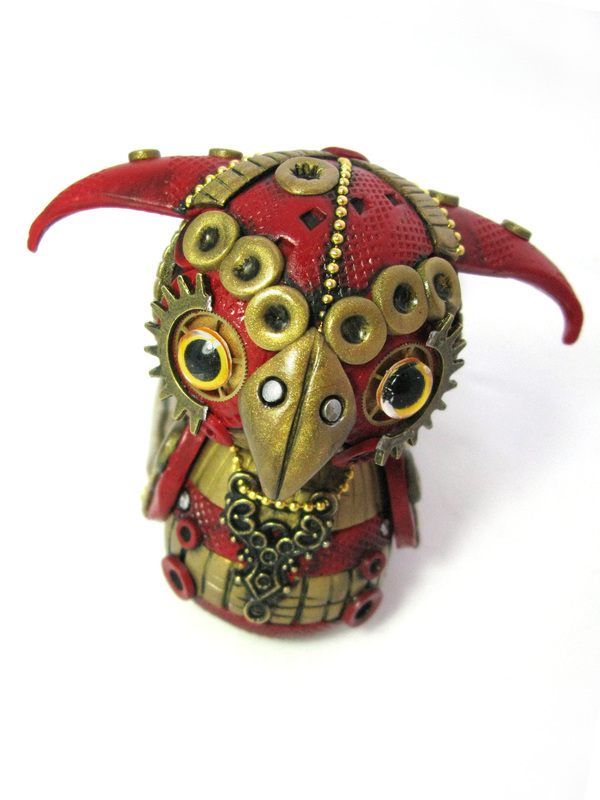 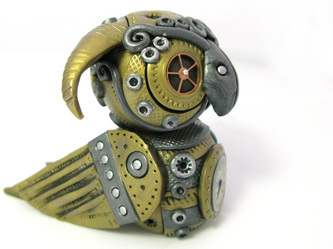 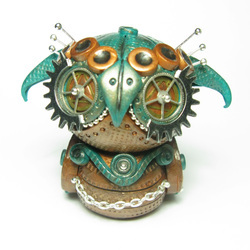 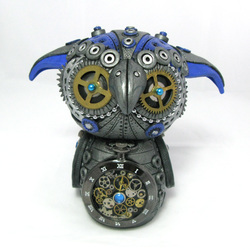 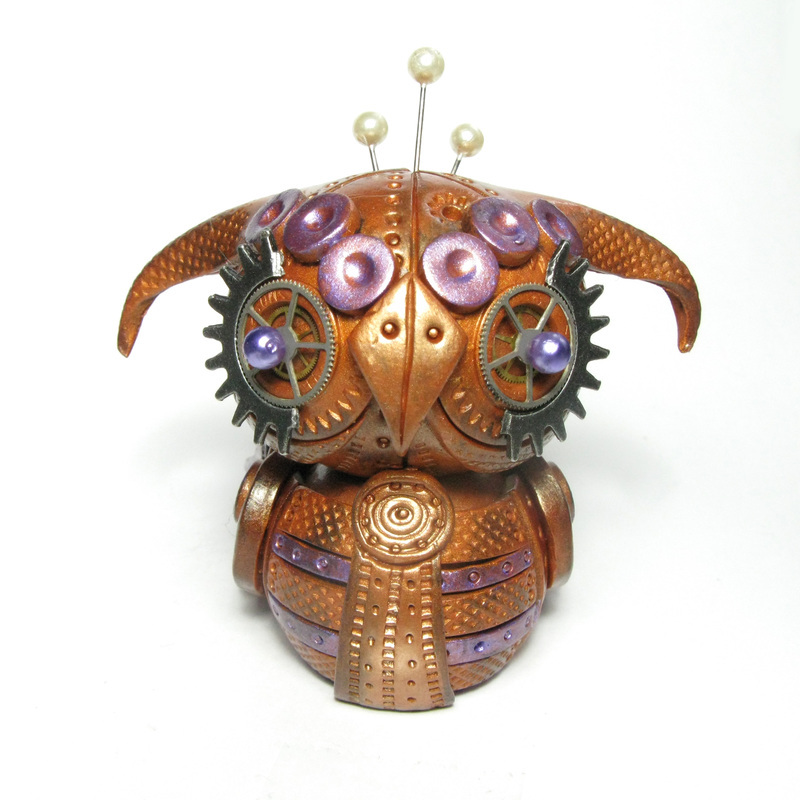 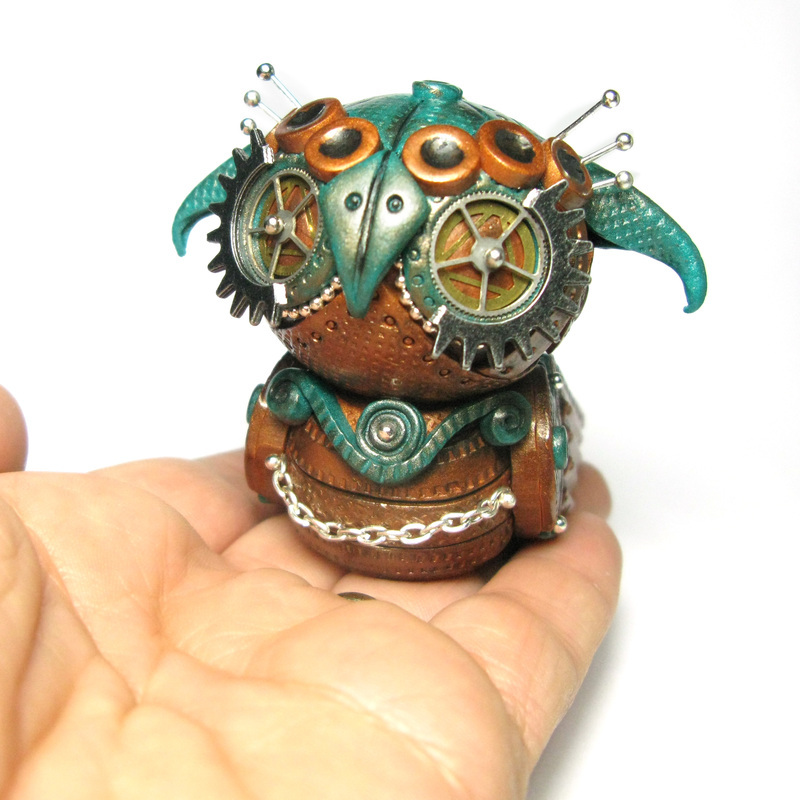 These cute mechanical owlies come in all sorts of shaped colours and even sizes, and I can make an owl sculpture in any colour or with any detailing that you like. 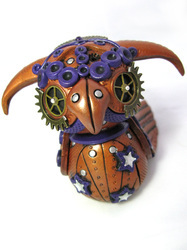 Although I have now starting making my owls larger than before and now the new one measure a good 2cm tallied. 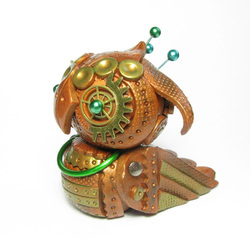 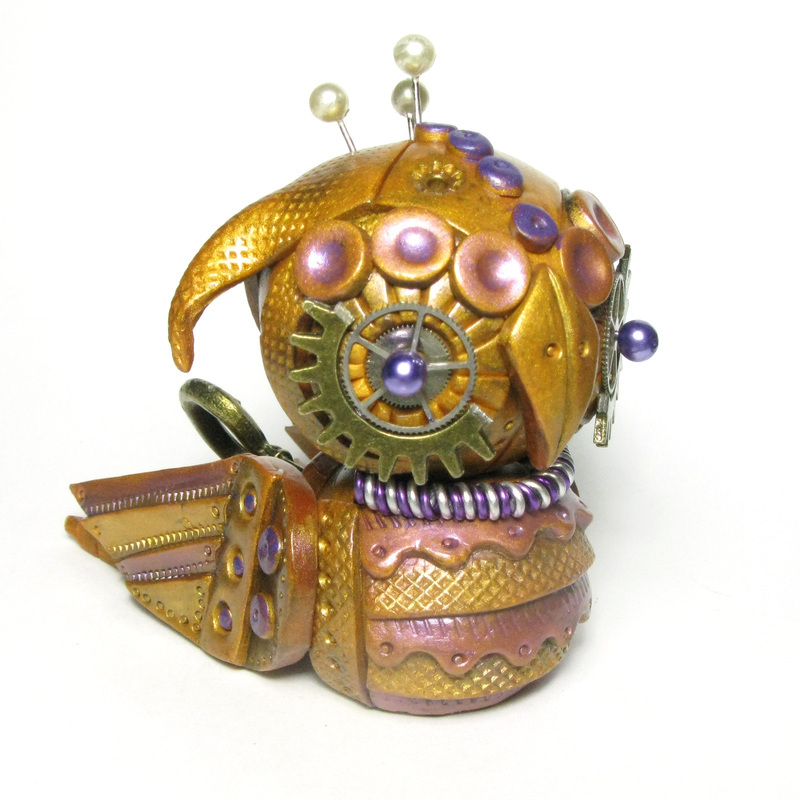 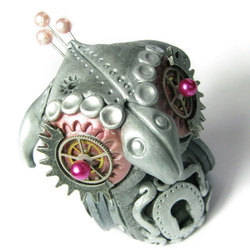 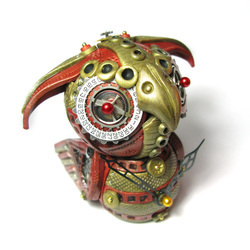 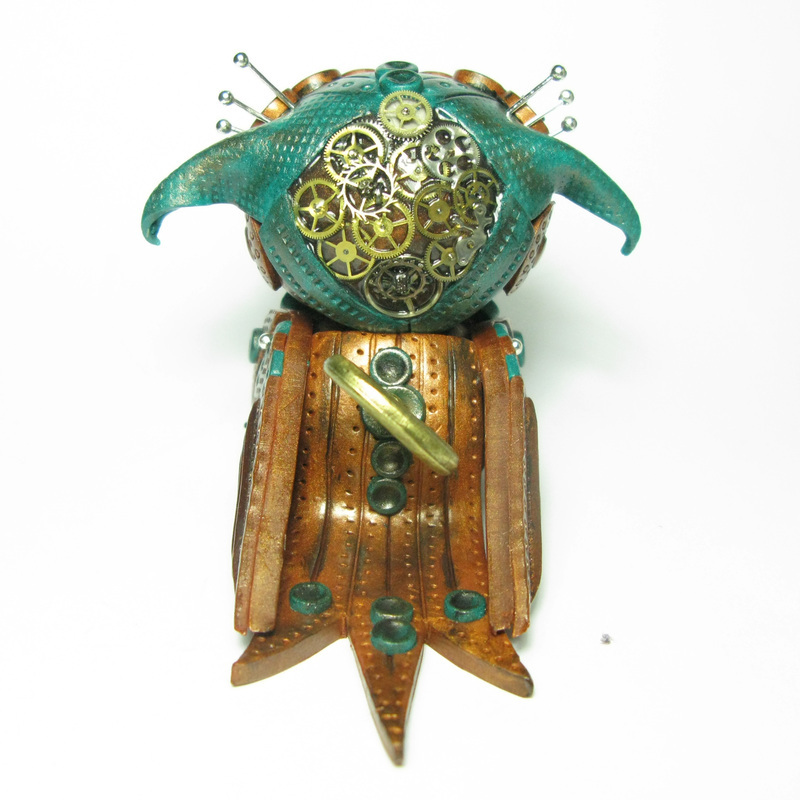 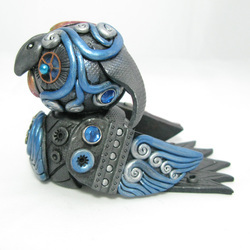 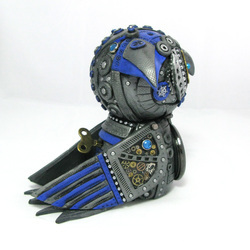 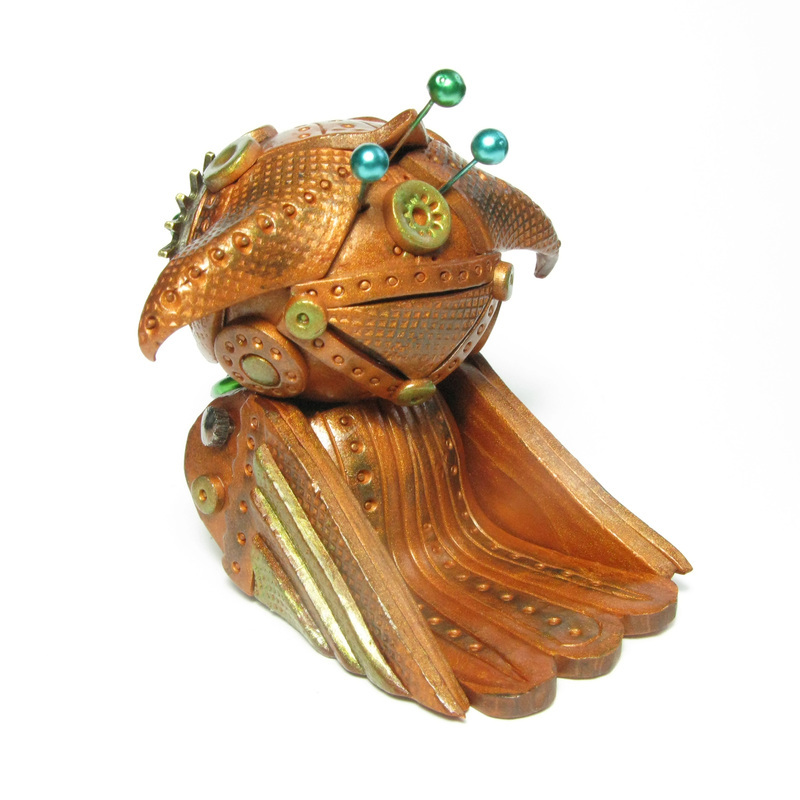 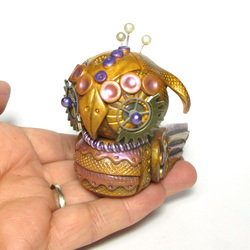 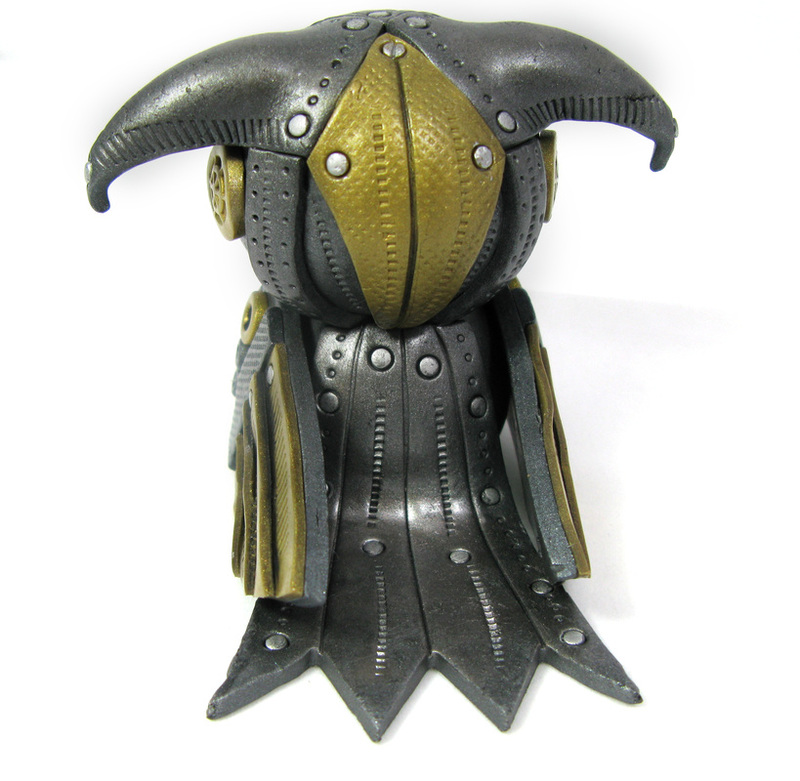 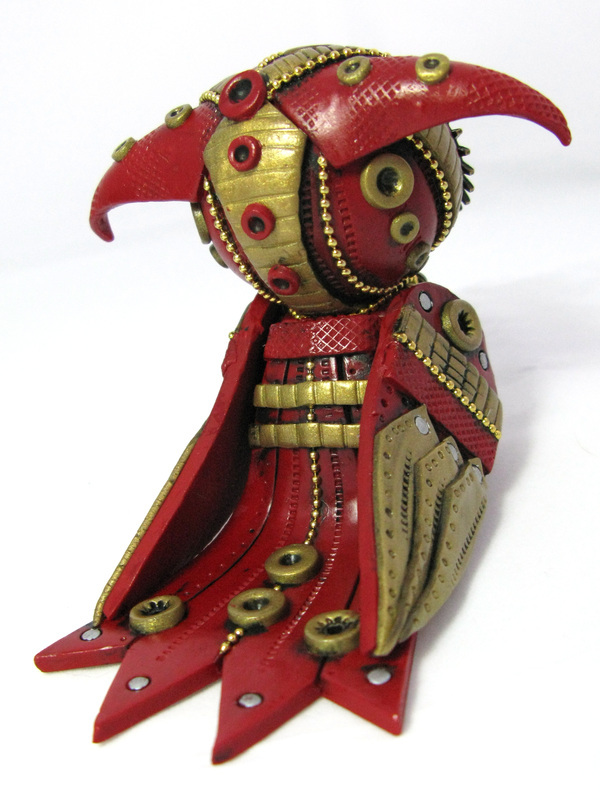 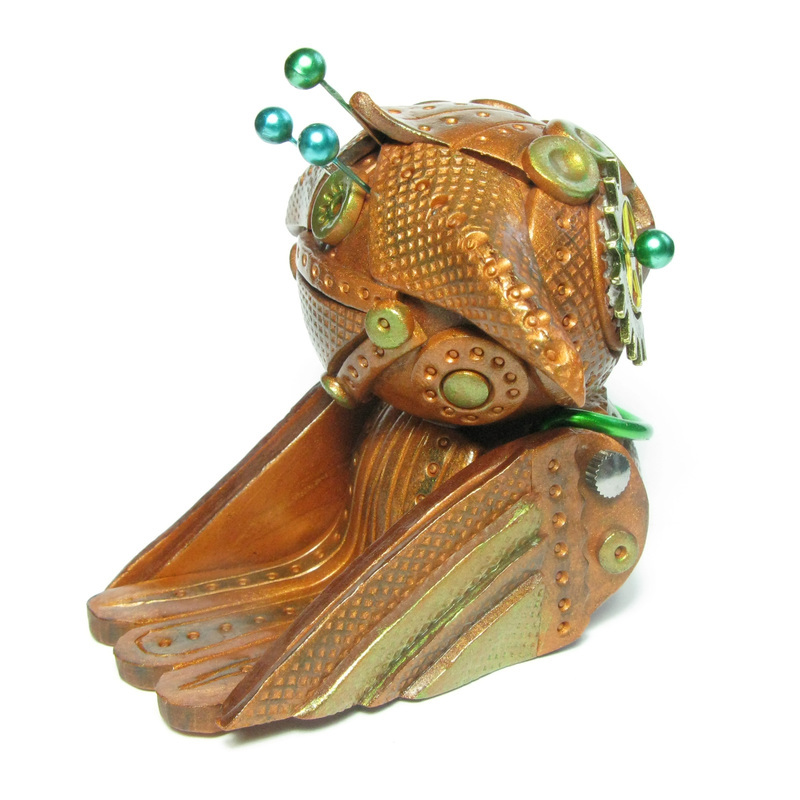 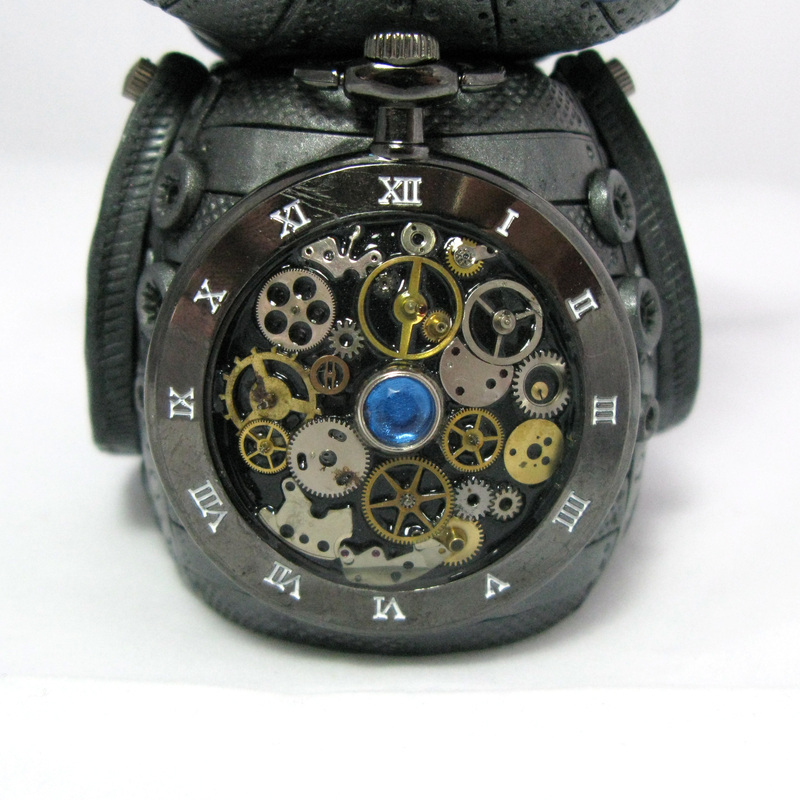 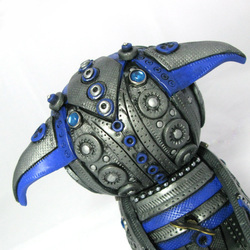 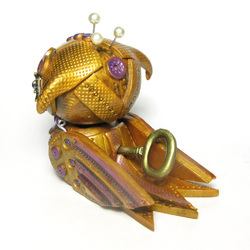 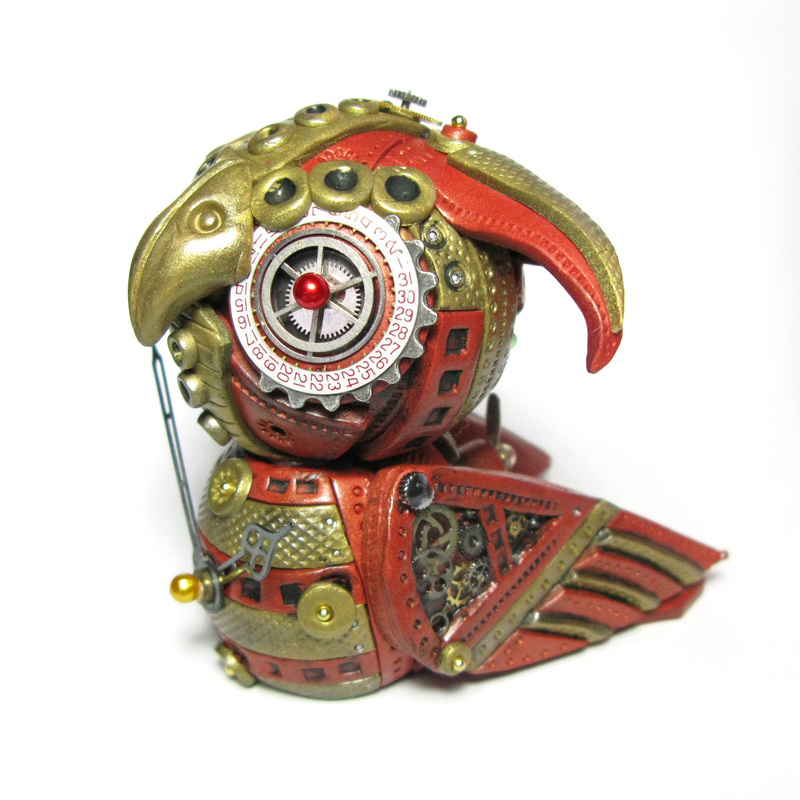 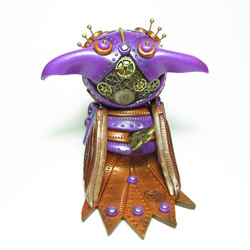 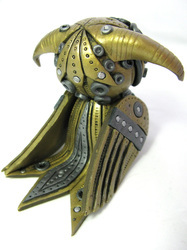 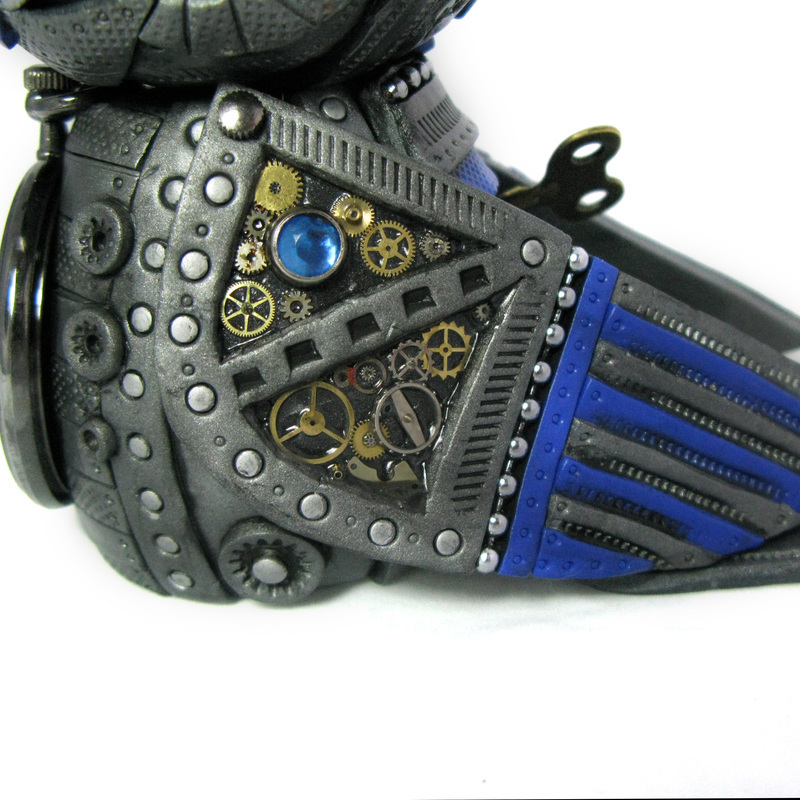 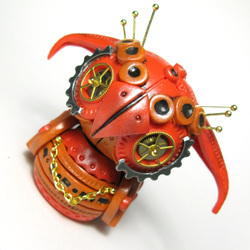 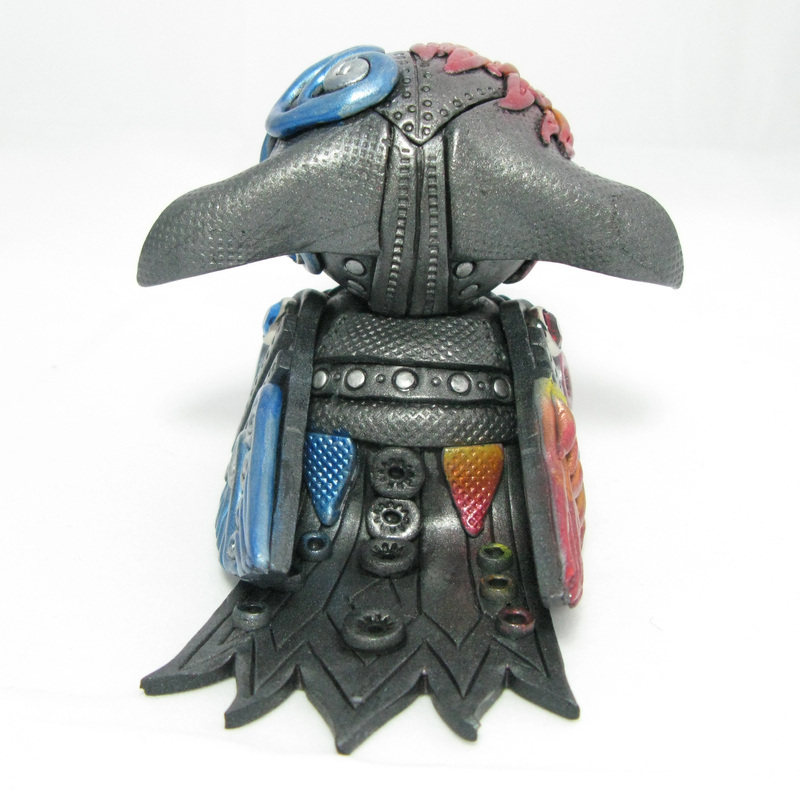 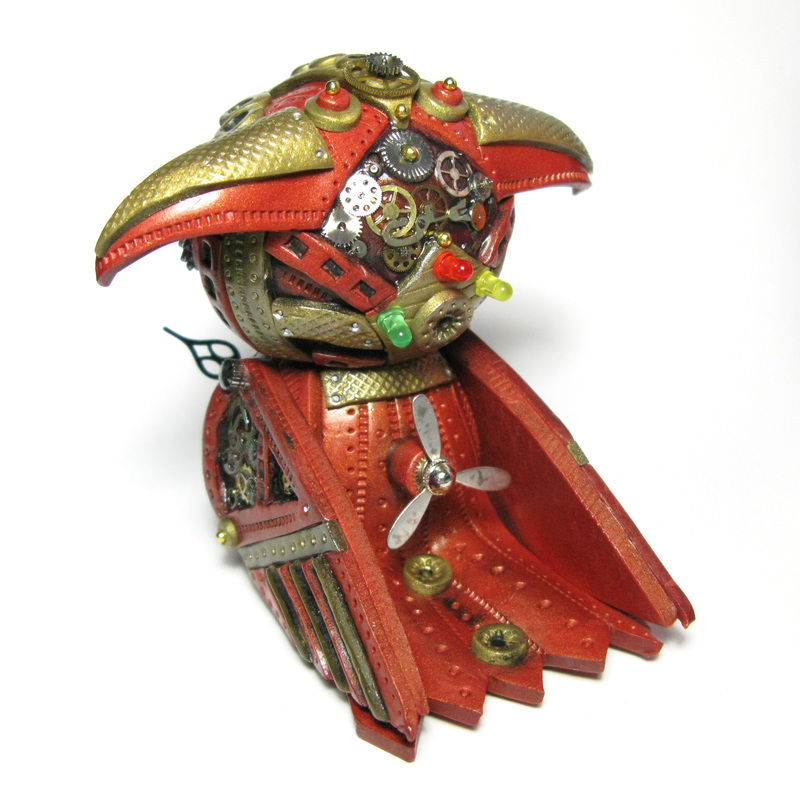 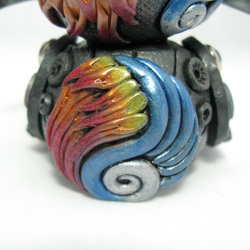 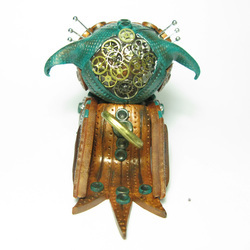 They come embellished with a vast array of goodies including cogs and gears, rivets with gems inside, clockwork keys, pocket watch cases and some small watch faces, chain, and lots of other shiny things. Why not pop on over to my Facebook page where you can like my page to keep you up to date with new creations and you can also send me a message for any custom ideas you would like me to make.